Maestro Thor Johnson, Music Director for The Nashville Symphony bequeaths a sum of money to the Tennessee Performing Arts Center for the production of opera. Maestro Michael Cherry, successor to Thor Johnson, recruits Mary Cortner Ragland to produce Madama Butterfly. The Nashville Opera Guild, Inc. is chartered by Mary Cortner Ragland and Ellen Hoffstead to solicit contributions to subsidize the production of Madama Butterfly at the Tennessee Performing Arts Center. Madama Butterfly performs at TPAC produced by the Nashville Opera Guild, Inc. The Nashville Opera Guild, Inc. produces Puccini’s Tosca. The Nashville Opera Guild, Inc. separates from the Nashville Symphony and becomes its own 501 (c) 3 organization. The Nashville Opera Guild, Inc. produces one production each year. The Nashville Opera Guild, Inc. transfers its charter to the Nashville Opera Association. The Nashville Opera Guild remains as a volunteer organization to raise money and assist the newly chartered Nashville Opera Association. Ed Fish is the first chair of the Nashville Opera Association and Marguerite Fish is the first Guild President. Guild membership drive tops 260. Nashville Opera Guild takes over the Metropolitan Opera National Auditions. Nashville Opera Guild holds it first fund raiser, a fashion show which is repeated every two years. The Tennessee Opera Theater is founded by Daniel Killman. Nashville Opera hires its first full-time General Director, Kyle Ridout. Nashville Opera Guild holds its first Gala Supper before the performance. In May, Kyle Ridout leaves the company and a national search begins for a new Director. President William Whetsell fills the role of acting Executive Director in the interim. In fall the Search Committee, chaired by Dr. Henry Howerton, hires Carol Penterman as Executive Director beginning January 1995. New Executive Director, Carol Penterman, hires John Hoomes as Artistic Director and Cara Schneider as Company Manager. Lori Eubank remains with the staff as Financial Director. In Fall Nashville Opera celebrates its 15th anniversary season announcing three productions and its first season subscription series. The Opera develops a regional tour to area schools and dubs it OperaNET. OperaNET tours for three weeks to 30 schools and reaches over 10,000 students. The Nashville Opera Young Artist Program is born and the first “Silver Circle Season Preview Cassette” is produced. Nashville Opera moves from donated space at Belmont University to larger offices at 100 Oaks Office Building. Nashville Opera and Tennessee Opera Theater begin discussions for a merger. In September the merger between Nashville Opera and Tennessee Opera Theater is completed. The post-merger NOA increases the number of productions to four per season. A blockbuster season includes Richard Strauss’ Der Rosenkavalierand the season plays to 91% capacity. Randy and Amy Tate Williams join the Nashville Opera staff as Director of Production and Chorus Master/ Accompanist. Launches its first web sites designed by Cara Schneider. The company’s operating budget exceeds $1 million. In September, NOA moves its offices to Trousdale Drive enabling them to consolidate administrative offices, rehearsal, and scenery and costume storage spaces for the first time. Lynn Newcomb joins the staff, going on to serve as Company Manager and later the Development Director for Institutional Giving. A unique collaboration with the Tennessee Repertory Theater produces Lillian Helman’s The Little Foxes and Blitzstein’s Regina in a new production design to accommodate both. OperaNET produces the new children’s opera Rumplestiltskin by Amy Tate Williams. Thanks to a generous grant from the Mary Ragland Foundation, the Opera’s Young Artist Program is renamed The Mary Ragland Young Artist Program in honor of Mary’s dedication to the training of emerging artists. Nashville Opera launches its first internship program. Project DIANE, Diversified Information and Assistance Network, selects Nashville Opera as its only performing arts participant to develop real-time, 2-way video teleconferences as an interactive classroom. OperaNET sets new records, reaching 53 schools with 9 public performances in 15 Middle Tennessee counties. The Opera celebrates its 25th anniversary with its first main stage world premiere, Surrender Road by Grammy Award winning songwriter Marcus Hummon. The Opera produces a documentary on “The Making of Surrender Road” which continues to be broadcast on public television. The Mary Ragland Young Artist Program expands to include a coach accompanist in addition to four singers. The company introduces the quarterly teacher email newsletter. The company’s operating budgets tops $2 million. A collaboration with the Nashville Symphony produces a new production of Amahl and the Night Visitors built specifically for the Schermerhorn Symphony Center to celebrate its grand opening season. August 2006 begins the two-year pilot scholarship program between Nashville Opera and Belmont University for graduate students in vocal performance. Three scholarships are awarded. The company launches its first capital campaign, Raise Your Glasses. The $12 million campaign will enable the Opera to purchase and renovate space for its first permanent headquarters, the Noah Liff Opera Center as well as provide the resources for a capital reserve and endowment fund through the Fund for Artistic Excellence. In October construction begins for the Noah Liff Opera Center designed by Earl Swensson and Earl Swensson Associates and constructed by D.F. Chase. The Opera produces its second world premiere with Elmer Gantry by Robert Aldridge and Herschel Garfein to rave critical reviews. Five companies have committed to producing it in the future. Nashville Opera and Elmer Gantry are featured on the cover of the Sunday Arts & Entertainment section of the New York Times. A commemorative DVD of Elmer Gantry is enhanced with special features that include a composer, librettist, director, cast commentary and/or supertitles that can be played with the DVD as well as other special features. The Nashville Opera Orchestra is created to supplement the Nashville Symphony when they are unavailable. The Nashville Opera Guild and Guild President Helen Brown set a new record with a contribution of $145,000 to Nashville Opera. The Raise Your Glasses campaign exceeds $9 million. OperaNET is renamed Nashville Opera on Tour and is expanded to include a fall tour of Amahl and the Night Visitors to area performing arts centers. On April 30 Mayor Karl Dean addresses the crowd as swordfighters cut the ribbon for the grand opening of the Noah Liff Opera Center, a visionary 26,000-square-foot facility. The Noah Liff Opera Center is one of nine development projects honored with the Urban Land Institute Excellence in Development Awards for innovation in land use and design, design excellence, contribution to the community, reflection of the regional or neighborhood character, public/private partnership, environmental sensitivity and financial viability. Education and Outreach programs and Education Director Stuart Holt set a new record reaching over 36,000 individuals. The Noah Liff Opera Center is featured in Opera News and Opera America Magazine. Critically acclaimed production of Fall of the House of Usher receives national recognition. The Nashville Opera Guild receives two national awards from Opera Volunteers International (OVI). Art Director Cara Schneider wins her fourth Addy Award for design. The Nashville Opera Guild hosts the OVI regional conference at the Noah Liff Opera Center. The first production at the Noah Liff Opera Center, Hansel and Gretel,is sold out. Nashville Opera On Tour produces the American premiere of the Canadian children’s opera The Brothers Grimm. Past Guild President Dr. Helen Brown receives the Partners in Excellence Award from OVI. Nashville Opera designs and builds a new production for Andréa Chenier. Mary Ragland almost single-handedly brought opera to our community through her extraordinary efforts as founder and first president of Nashville Opera Association. With degrees from the Newcomb and Juilliard Schools of Music, a professional career as a soprano, and membership on both the Board and National Council of the Metropolitan Opera, Mary’s dream is being realized as the Nashville Opera is one of the fastest growing opera companies in the United States. 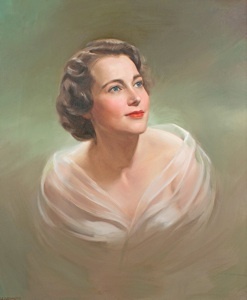 Mary, who died in 1999, left a bequest from her estate to set up a fund in her name ensuring that her vision of opera in Music City would be sustained.